Ten months ago, a man named Ryan Standke uploaded a car video up on Youtube. It wasn’t just any regular car nut video showing a guy fanboying over famous supercars, or an aftermarket build with a copious amount of nonsensical parts that could spell horror for inert OCDs. 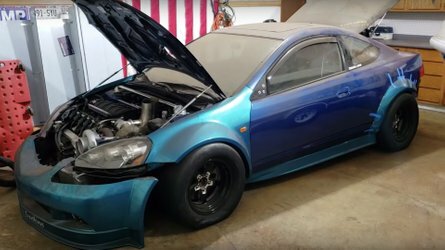 Call it a dream, a vision, or a mission, but Standke is up to make something out of a 2002 Acura RSX – and it’s totally extraordinary. The project? Subjecting the Acura to an engine swap, not with one but two 5.3-liter turbocharged LS4 V8s, targetting a final output of 1,700 to 1,750 horsepower to the wheels. Now that’s a different kind of all-wheel drive. 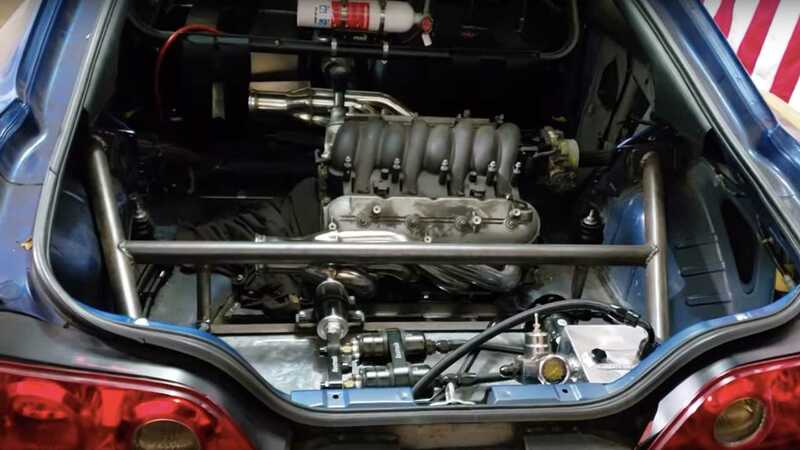 The project started back in 2016 when Standke managed to fit a 5.3-liter engine inside the Japanese two-door coupe, even adding a massive Garrett turbocharger to give it a 10 psi boost. The resulting power figures then were around 600 horsepower, but Standke wasn’t really satisfied with that. There aren’t many details disclosed by Standke, except for a few things like replacing the front brakes with the ones from the Type S, while the rear rotors and brakes are from a Honda CR-V. He also did some weight reduction, which he obviously needs with two huge (and heavy) power plants inside the car, by changing the wheels and tires. Standke has a long way to go before he could polish his bonkers build, but we sure do hope he’ll be able to do so as that’s going to be one epic car to see. Previous Previous post: What is a subprime loan?